Will the new Obama plan for helping homeowners (of 3/2012)help us? We are not underwater & have tons of equity. We are current in payments but retired -mortgage payments of $1715 ($263,000)are over what we can afford on Soc.Sec & pensions. Our son would like to take over our home eventually so we don't want a reverse. Need to lower our payment to $1000 or so. Our loan is NOT with Fannie Mae or Freddie Mac. Our loan is with Citimortgage@5.7%. We have good credit, but are running thru savings fast. Will CitiMortgage be required to help us NOW? We have credit card debt of $16,000. Examine a reverse mortgage as a way to stop making monthly mortgage payments. Review your different options for resolving credit card debt. Understand that President Obama's refinance plan is a proposal and not a law. Thank you for your question about your options to lower your monthly payment by refinancing your CitiMortgage home loan. I understand that you prefer not to take out a reverse mortgage and you also want to take care of your credit card debt. I will examine all parts of your question. The Obama refinance plan you mentioned is only a proposal that the President floated, as of now. To become law, Congress has to pass the President's proposal or an alternative to it. Given the deadlock in Congress, it is very possible that no solution will be forthcoming. 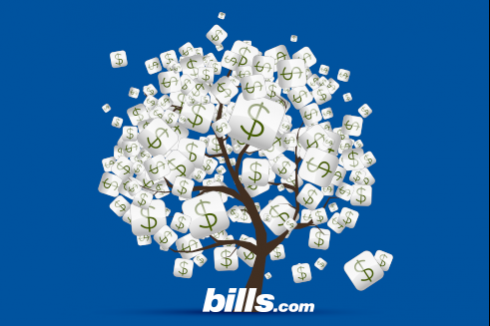 to find the best mortgage rate, get a bills.com quick mortgage quote. you will be matched with some of the best lenders in the country, based on your unique situation and needs. To reduce the size of your monthly mortgage payment, so you can afford it on your fixed income, without increasing your credit card debt and your stress. To have your son be positioned to inherit your home and live in it, ideally without having to take out a reverse mortgage. To pay off your credit card debt. I am not sure whether President Obama's refinance plan, were it passed exactly as he wishes, would help get a lower payment than you have with CitiMortgage. Your goal is a monthly payment of& about $1,000 on your $263,000 mortgage balance. To get that small a monthly mortgage payment, you need to find a refinance loan with a very low interest rate. Even if you find a rate of 2.5% on a 30-year loan, you would end up with a monthly payment of $1,039 for only your principal and interest. When your property taxes and homeowner's insurance are added in, your total costs will be much higher. Also, 2.5% is probably not attainable, even if you refinanced into an adjustable rate loan, despite the fact that refinance interest rates are at historically low levels. The only kind of refinance loans that I can think of that would give you the kind of payment you seek are an interest-only loan or a negative amortization loan. Neither of these loans are available in today's market, as they are viewed as the types of loans that contributed to the housing market collapse. Credit Counseling: A consumer credit counseling program may help you lower your interest rates and slightly reduce the amount of your monthly payment you currently make on your credit card debt. Whether or not credit counseling program will help you depends on your creditors, your current interest rates, and the size of your required monthly minimum payments, among other factors. Debt Settlement: Debt settlement can likely lower your monthly payment and help you resolve your credit card debt at the lowest overall cost, while avoiding bankruptcy. Only select a debt settlement firm that does not charge an up-front fee and is a member of the American Fair Credit Council (AFCC). Keep in mind that debt settlement has a strong negative effect on your credit score. If you are struggling with credit card debt, you can get a no hassle, no obligation debt relief quote from one of Bills.com's approved partners. I know you said that you don't want a reverse mortgage, but it may be your only way to get the payment relief you seek and stay in your home. A reverse mortgage does not prevent your son from taking over the home. It is true that if you move or leave the home that he would have to obtain financing for what you owe on it, at the time he takes over the home. However, he would have to get financing for what you owe in order to stay in the house, even if you have a standard mortgage. I suggest that you discuss with a reverse mortgage provider a way for you to take the loan and make the $1,000 payment that fists your budget and will not greatly inflate your principal balance. Don't dismiss any option out of hand before you examine all the alternatives and compare their pluses and minuses. Because refinancing your CitiMortgage loan is not a realistic option, I recommend that you look at every way that can lower your monthly outflow on your credit card debt, including credit counseling and debt settlement. Try to cut other expenses where possible and adhere to a monthly budget. Despite your expressed desire to avoid a reverse mortgage, look into one. A reverse mortgage gives your son as much of a chance of staying in the home as a standard mortgage refinance, provided you don't greatly add to the principal balance owing. It will lower your required monthly outflow and free up money to deal with your credit card debt. I think it is the best option to accomplish all of your goals. Reverse mortgage lenders can't sign you up for a loan before you receive counseling from a HUD approved housing counselor. This way you will fully understand how a reverse mortgage can help you reach your goals, without the fear that you will be strong-armed into a loan. The choice is yours; the more information you gather, the more informed choice you can make.